With the ink still drying following the acquisition of OMGPOP and its hit app Draw Something, Zynga is putting its new mobile property to work by engaging advertisers and encouraging them to pay for words that allow users to literally draw their brands. AdAge reports that Zynga is pushing the new form of advertising (on top of its mobile ad banners and paid upgrades), now inserting words connected with brands, encouraging app users to draw logos or a product that they sell. The National Hockey League is one of the first advertisers to have paid for ice hockey-related words, which is why you may have been prompted to sketch a puck, a Zamboni or do your best to picture the action of a ‘slap shot’. Before its acquisition, OMGPOP began testing major brands in Draw Something, including Nike, KFC and Doritos, laying the foundation for a major push to big advertisers. 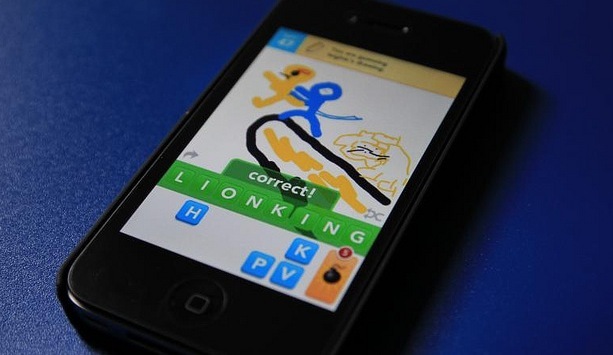 While Draw Something has seen over 50 million downloads, users are beginning to abandon the drawing app. According to AppData, the average number of users per day is now down to the level it was before Zynga acquired it, which sits around 10 million from near 15 million users. To say users will abandon the app would be shortsighted; Zynga has added new sharing features and other social services to Draw Something, providing ways for users to share their drawings and tempt new users to the service. It’s not surprising that brands would pay to see their products or trademarks listed in the app but now you may be able to detect how a word arrived in your list of word choices.